Bye Bye Under Eye Illumination Anti-Aging Concealer is rated 4.6 out of 5 by 437. Experience everything you love about your #1 best-selling*, award-winning concealer—plus Drops of Light Technology™ for a lit-from-within glow—all with one product, now in 12 true-to-skin shades! Bye Bye Under Eye Illumination also features proprietary Expression Proof™ Technology, plus anti-aging peptides, vitamins, hydrolyzed collagen, hyaluronic acid and antioxidants, to improve the appearance of wrinkles and effectively conceal the look of skin imperfections including dark circles, bags, redness, hyperpigmentation, broken capillaries, age spots and discoloration. Finally, a multitasking, full-coverage concealer that makes your skin look younger—and more luminous! IT Cosmetics partners with plastic surgeons to develop skin-loving solutions and clinically tested formulas. CAPRYLIC/CAPRIC TRIGLYCERIDE, BIS-DIGLYCERYL POLYACYLADIPATE-2, VP/HEXADECENE COPOLYMER, CETYL ALCOHOL, SILICA DIMETHYL SILYLATE, OZOKERITE, PHENOXYETHANOL, AQUA/WATER/EAU, ASCORBYL PALMITATE, TOCOPHEROL, TOCOPHERYL ACETATE, MAGNESIUM ASCORBYL PHOSPHATE, CHOLESTERYL NONANOATE, CHOLESTERYL OLEYL CARBONATE, CHOLESTERYL CHLORIDE, CHRYSIN, GLYCERIN, HYDROLYZED COLLAGEN, N-HYDROXYSUCCINIMIDE, NIACINAMIDE, PALMITOYL OLIGOPEPTIDE, PALMITOYL TETRAPEPTIDE-7, RETINYL PALMITATE, SODIUM HYALURONATE, STEARETH-20, [+/-: MICA (CI 77019), TITANIUM DIOXIDE (CI 77891), IRON OXIDES (CI 77492, CI 77491, CI 77499)]. Warm, tap, blend! Warm a tiny amount with fingers, tap onto skin and blend using your favorite IT Cosmetics makeup brush. Can also be worn as a foundation. Using your IT Cosmetics Heavenly Luxe™ Dual Airbrush Concealer Brush #2, blend Bye Bye Under Eye Illumination around your eyes, nose and lips to instantly erase the look of imperfections. Set with Bye Bye Pores™ Poreless Finish Airbrush Powder for a pore-blurring, shine-free finish that lasts! We’ve made it easier than ever to find your perfect shade of Bye Bye Under Eye Illumination by including an undertone indicator in each of the 12 shade names: W (warm) N (neutral) and C (cool). Rated 1 out of 5 by Sunshine Lewis from Settles in lines Felt heavy and settled in my lines. Not recommended for anyone over 30. I returned it and the time never issued a refund. Customer service was not impressive on chat, phone or email. Rated 5 out of 5 by Bernice57 from Phenomenal product I am loving what this is doing to minimize my under eye issues. This is concealing my aging skin and actually bringing a youthful glow!! I highly recommend it!! Rated 3 out of 5 by Amanda0426 from A bit thick and dry The product has great coverage, but it is thick. This leads to creases and cracking. I've been using this product for several months and can not seem to keep my mascara from creating black smudges after a few hours. I have tried applying powder to set... no help. Any suggestions? Hi there! Thank you for reaching out to us. We are more than happy to assist you further in getting your desired results with Bye Bye Under Eye Illumination! We recommend that you reach out to our team directly at 1800 356 5120 in regards to this! We are always here for our IT Girls! Our team can be reached Mon-Thurs 8-7 and Fr-Sat 9-5 EST! XOXO Tina. How are the under eye concealers different? I see the one in black tube, the concealing pot, the corrector pot and an illuminator tube that is pink. How are each different? Thank u! I have dark racoon circles and puffiness. I use Bye Bye Under Eye. What's the difference between Bye Bye Under and Bye Bye under eye illuminator? Hi there! Thank you for your question. 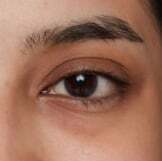 Bye Bye Under Eye improves the appearance of skin imperfections including dark circles, bags, redness, hyperpigmentation, broken capillaries, age spots and discoloration. IT can be applied wherever you need the coverage. Bye Bye Under Eye Illumination provides the same life-changing benefits as the original but with a radiant finish that&rsquo;s free of glitter or shimmer. We hope this helps! XOXO Tina. I've been using IT products for a few years and love the concealer. However, when I opened a new tube of Bye Bye Undereye concealer recently the tube went flat. There was very little product in the tube. Have you had other complaints about this issue? Hi there! Thank you for your question. We are so sorry to hear you're experiencing this with your Bye Bye Under Eye Illumination. We are of course, happy to look into this further with our teams. We ask that you kindly email our Customer Care team at info@it-cosmetics.com or call by phone at 1-800-356-5120 during our business hours Monday-Thursday 8:00am-7:00pm and Friday-Saturday 9am-5pm EST for further assistance. We look forward to hearing from you! XOXO Tina. Hi there! Thank you for question. Secret Sauce is your luxurious, clinically advanced anti-aging moisturizer, while Confidence in a Cream Rosy Tone Moisturizer is a surface cell renewal rosy tone vitality moisturizer. Secret Sauce is a richer anti-aging cream while Rosy Tone smooths uneven skin texture and helps to revive your complexion for a lifted, less tired look. Both are amazing anti-aging products, the choice is up to you based on skins needs and preferences. We hope this helps! XOXO Tina. What is the difference between this product and Magic Touch Radiant Wand? Hi there! Thank you for your question. Bye Bye Under Eye Illumination is a full coverage concealer! IT diffuses the look of lines and wrinkles, and brightens your eye area. Perfect Lighting offers buildable sheer to medium coverage that brings your best features forward while neutralizing, correcting and blurring the appearance of skin imperfections! In choosing IT depends on the amount of coverage you're looking for. XOXO Tina. Is the Bye Bye Under Eye concealer the concentrated one? I want to be sure I'm ordering the correct concealer. Some I have received are liquid like make up and I prefer the concentrated one. Thanks! Hi there! Thank you for reaching out to us. To ensure that you're ordering the correct product kindly email our Customer Care team at info@it-cosmetics.com or call by phone at 1-800-356-5120 during our business hours Monday-Thursday 8:00am-7:00pm and Friday-Saturday 9am-5pm EST for further assistance. We look forward to hearing from you! XOXO Tina. Hi! For best results, is this to be applied over or under foundation? I received the sample 1 yr ago. Loved it! Recently purchased the regular Bye Bye UnderEye, applied before foundation and the results were nothing compared to that of the Illumination.